Welcome everyone to the fifth Theory Thursday! 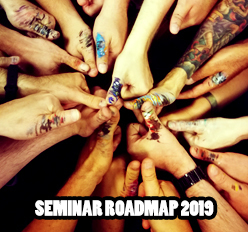 This weeks topic will be slightly different than the weeks before. Light, lightwaves and electromagnetic radiation will have a week off for something more "real" and quite interesting. Rust, everyone knows it. It looks cool as inspiration and it's annoying when it's on places where it shouldn't be. Rust is basically a mix of Iron Oxide and Iron Oxide-Hydroxide. Iron Oxide (Fe2O3) is a very common chemical as iron reacts very happily with oxygen. It's very hard to find pure iron in nature. Iron Oxide has a typical red color that is and was used as a pigment very often to make colors. 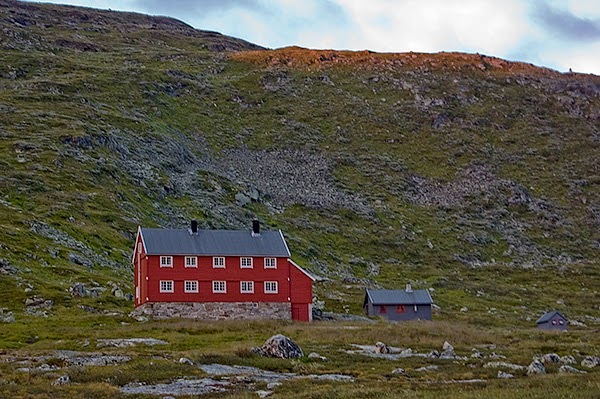 By the way, many people know the typical red houses in countries like sweden, norway, etc. This color is called Falu Red and originated from a copper mine in sweden, it has more ingredients, but iron oxide is a very important one in giving it the typical color. 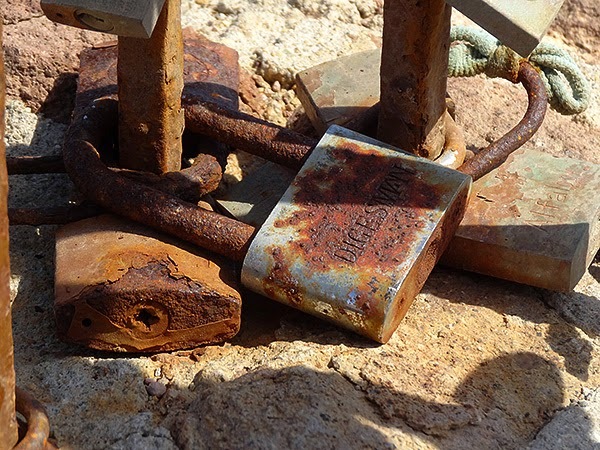 Most of the time, rust is not just red, that's because the Iron Oxide is hydrated. Iron oxide-hydroxide Fe2O3·1 H2O) has a yellow color (also used as a color pigment). But why is iron or alloys containing iron (like steel) rusting? The process is called corrosion - it's an electrochemical process. 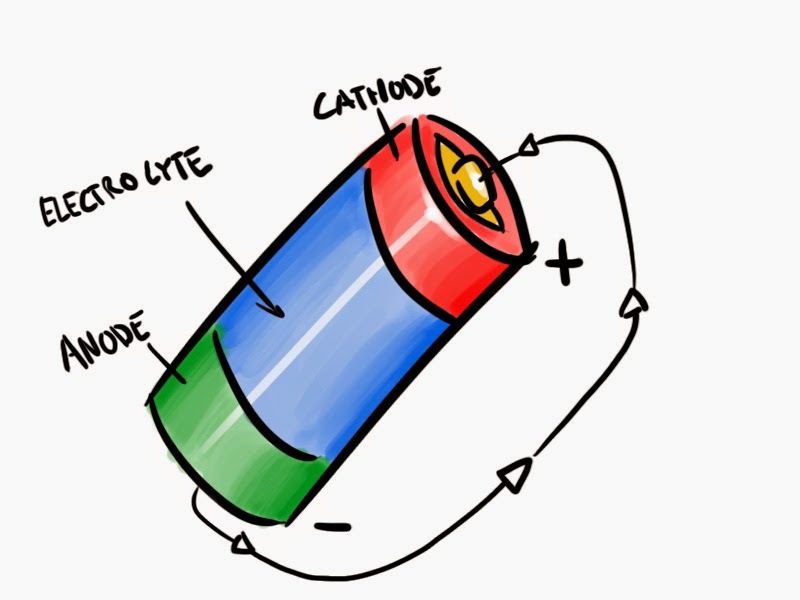 To make this possible you need an anode (a piece of metal that give electrons away), a electrolyte (a liquid that helps electrons to move) and a cathode (a piece of metal that accepts electrons). 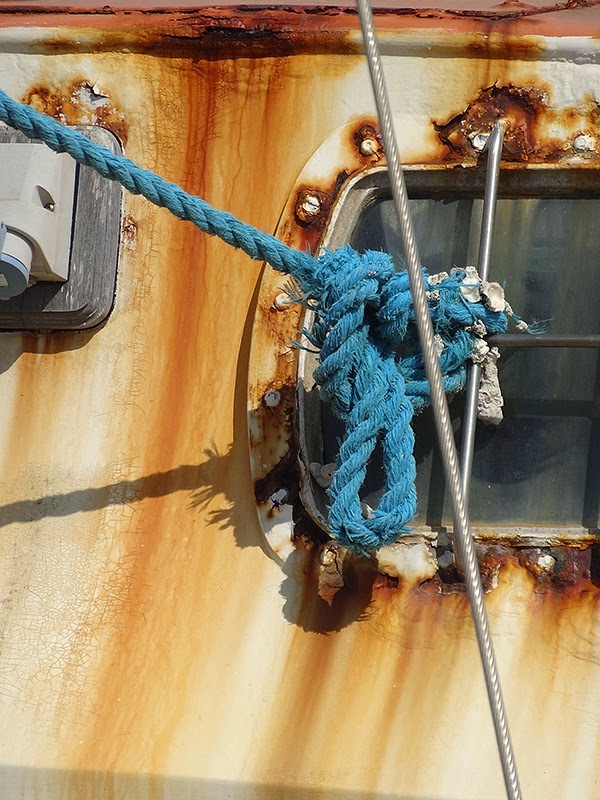 In the case of iron corrosion, we need three components. When water (our electrolyte) hits the iron a lot of stuff starts to happen. First, the water reacts with the air to for different kinds of acids, especially with carbon dioxide. This acid is an even better electrolyte than water and will speed up the process of corrosion as it will dissolve the iron. The water will start to split up into it's core components (H2O = two hydrogen atoms and one oxygen atom) and the oxygen will start to bond with the dissolved iron into .... iron oxide! Electrons are freed and will go to the cathode which can be another piece of metal less electrically reactive than iron or another part of the iron itself. The more salt is present in the water (seawater, sweat, acid rain) the faster the rusting / corrosion will happen as it will be a better electrolyte. The result is always the same, rust in reddish or yellowish hues. Keep your eyes open and you will see rust on a lot of places, it's very nice to observe how rust works and where iron parts will rust. You do now know why iron corrodes, so try to look out for places where water collects. You will see that those places will rust much more. And by the way, did you ever try to make your own rust / iron oxide pigments for painting rust? Try out our tutorial, maybe with the knowledge from this article, you can even improve the process? I hope you enjoyed this episode of Theory Thursday and read you next week! Raffa explains different weathering techniques in a series of 4 videos. This article explains how to apply rust.